About one in 15 couples worldwide are unable to have children after at least a year of trying to conceive (TTC), but new research promises to double the success rate of one type of fertility treatment. Scientists in China and the United States collaborated in developing a new method of detecting genetic defects in egg cells used for in vitro fertilization (IVF) treatments. The researchers hope their work will someday lead to the development of accurate, safe, and inexpensive ways to select only the healthiest eggs for use in IVF treatments. Healthy eggs are more likely to produce healthy babies. 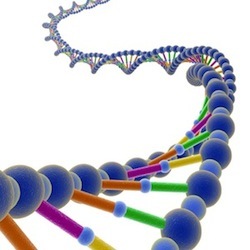 Human DNA, the “blueprint of life,” consists of two long strings containing millions of genes. Scientists use a process known as “DNA sequencing” to describes the order of the genes on a given stretch of DNA. Medical researchers associate certain variations in DNA sequences with specific illnesses. In this newly developed method, scientists look for variations in an egg’s DNA sequences known to cause illness. It also helps researchers look for abnormalities in chromosomes, which are responsible for storing the DNA information. These defects also reduce success rates of IVF treatments. During IVF treatments, scientists fertilized an egg with a sperm outside the woman’s body then implant the fertilized embryos in the woman’s uterus. Currently, there are several ways to test for genetic defects but these methods may harm the embryo in that the tests require removal of a small portion of the egg. Furthermore, the current tests do not look for genetic disorders using DNA sequencing. This new method tests polar bodies, which are cells that emerge when egg cells divide but die off soon afterwards. Polar bodies carry DNA but since they die, scientists can safely remove them without harming the embryo. If the new method works perfectly, IVF success rates could easily double from 30 percent to 60 percent. Fertility doctors would use only healthy eggs without signs of genetic defects. The authors, one a professor from Peking University and the other from Harvard University, published their findings in the online medical journal, Cell. Source: Paddock, Catharine. "IVF success could double with new way of detecting faulty egg cells." Medical News Today. MediLexicon, Intl., 20 Dec. 2013. Web. 30 Dec. 2013.